Port Douglas is a town in Far North Queensland, Australia, approximately 70 km (40 mi) north of Cairns. Its permanent population was 3,205 at the time of the 2011 census. The town’s population can often double, however, with the influx of tourists during the peak tourism season May–September. The town is named in honour of former Premier of Queensland, John Douglas. Port Douglas developed quickly based on the mining industry. Other parts of the area were established with timber cutting occurring in the area surrounding the Daintree River and with settlement starting to occur on lots around the Mossman River by 1880. 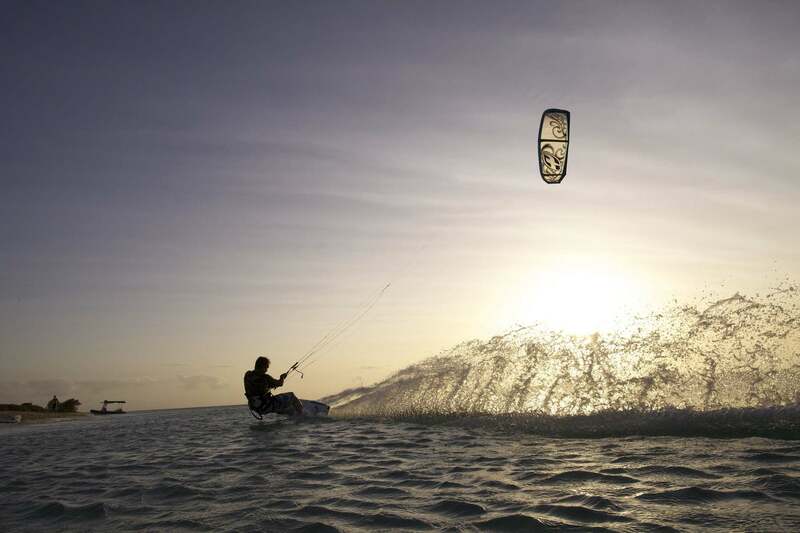 Kitesurfing is popular at the southern end of Four Mile Beach, particularly during the winter months when trade winds blow from the South. Port Douglas is near the Great Barrier Reef. Numerous companies run daily trips from the marina to the outer reef and the Low Isles for scuba diving and snorkelling. Port Douglas is also well known for its many restaurants, walks, golf courses, and five star resorts. The Port Douglas Community Hall houses the Port Douglas Library, 11-29 Mowbray Street, operated by the Douglas Shire Council. The Library opened in 2010. Another branch library is located in Mossman. Palm Cove is a beachside suburb of Cairns in the Cairns Region, Queensland, Australia. It is 27 kilometres (17 mi) north of the city of Cairns. It is named after the palm trees that line the beach. Palm Cove is well known as one of Australia’s most popular holiday, spa and wedding destinations that offers visitors the most beautiful village atmosphere, a superb selection of restaurants and dining options along with a large array of budget and family style holiday accommodation, luxury five star beachfront hotels and resorts, all offering views out to the islands of Australia’s Great Barrier Reef. Palm Cove is only 25 minutes north of Cairns Tropical North Queensland Australia and 45 minutes south of Port Douglas Queensland Australia so you are perfectly positioned in the middle of all the Cairns Attractions giving you easy access to everything on offer north and south of Palm Cove. The major industry for Palm Cove is tourism. Palm Cove is also a tourist destination due to its proximity to the Great Barrier Reef and the Daintree Rainforest. Palm Cove is the location of many world-renowned resorts and hotels such as the Drift Resort, Alamanda, the Mantra Amphora Resort, Peppers Beach Club, and the Reef House. The pristine beaches and Palm tree lined paths are used by joggers, walkers and cyclists and netted life guard patrol swimming enclosures offer safe access to the sea all year round. Cairns is the capital city of Far North Queensland. The 16th largest city in Australia, with a population of over 140,000 people, Cairns is continuing to be a favoured destination – for its rare mixture of ecological environments and its cosmopolitan, colourful coastal character. Cairns’ location is absolutely magnificent. Located 400km from the northernest part of the State of Queensland, it lies on the warm waters of Trinity Bay. Cairns continues to develop & modernise – as can be appreciated from endeavours such as the Cairns Convention Centre, Cairns Reef Casino, Cairns City Council Chambers and major shopping complexes – whilst preserving sweet touches from its pioneering days, such as The Pioneer cemetery on McLeod Street or the Cairns City Library on the corner of Abbott/Aplin streets. These are just some of the unique structures that help to add a sense of living history to this relatively young 123 year old coastal city. Cairns has many attractions, some natural and some man-made, obviously the most recognised of these is the Great Barrier Reef. There are a lot of interesting places in Cairns to see and some of them are free, such as The Flecker Botanic Gardens where you can see some of the unique flora and fauna we have in this part of the world. Or alternatively take a leisurely stroll down along the Cairns Esplanade and admire our bird life feeding along the mud flats, there are posters and information about the individual birds themselves – so bring along your binoculars and cameras to catch these beautiful and unusual birds in their natural habitat. The Cairns Esplanade, or the Esplanade, is peaceful during the day with visitors catching the early morning rays and watching the unique bird life feeding along the mudflats. Palm trees line the length of the Esplanade highlighting the Tropical feel of this warm city. You will regularly see tourists getting a nice tan along the Esplanade and locals enjoying an Australia Barbeque with family and friends whilst children play at the many playground areas within the area. Townsville is a city on the north-eastern coast of Queensland, Australia. It is in the dry tropics region of Queensland, adjacent to the central section of the Great Barrier Reef. Townsville is Australia’s largest urban centre north of the Sunshine Coast. Considered the unofficial capital of North Queensland by locals, Townsville hosts a significant number of governmental, community and major business administrative offices for the northern half of the state. Townsville holds a Guinness World Record – for the ‘Longest Horns in the World’. The region’s world famous Texas Longhorn steer, named JR, was certified by the Guinness World Records in 2011 to have the longest horns measured tip to tip, of all the cattle in the world. JR was born and raised in Leahton Park and his horns are now believed to exceed 2.82 metres. Townsville offers the Texas Longhorn Wagon Tour where visitors can take a traditional wagon tour into Leahton Park, the home of JR, and see hundreds of Horseshoe B Longhorns and the largest herd of purebred Texas Longhorn cattle in Australia. Kirwan is a suburb of Townsville, Queensland, Australia. Kirwan is a primarily residential suburb but includes some commercial property, primarily concentrated along Thuringowa Drive. At its southern end are the retail and entertainment precincts of Thuringowa Central, which include the Willows Shopping Centre and the Riverway complex, the latter of which lines the northern bank of the Ross River and includes parkland, swimming pools, barbecue facilities and an arts centre. It also plays home to night markets. The suburb of Kirwan was established in 1968 as the northernmost of a series of new suburbs along the western side of the Upper Ross River. It took its name from an early farming family in the region. Prior to suburban development, Kirwan had been farmed and had also been the site of air force activity during the Second World War. Several leisure facilities are also situated within Kirwan itself, including the Willows Golf Club, the Townsville and District Junior Rugby League Grounds and the Townsville Brothers Leagues Club. Kirwan is also well known as the home of the National Rugby League team, the North Queensland Cowboys, and is the site of 1300SMILES Stadium. Aitkenvale is a suburb of the City of Townsville, Queensland, Australia. Aitkenvale is now a major commercial and residential district of the city. The suburb is home to two of Townsville’s biggest shopping centres and is home to branches of numerous companies. Aitkenvale is the biggest commercial centre in Townsville outside of the Townsville CBD, and is often referred to as the second CBD. Besides offices and shopping centres, the suburb is mainly residential and has some light industrial warehouses and workshops in the top north-eastern corner of the suburb. There is also picturesque parkland along the bank of the Ross River. Aplins Weir Rotary Park is a recreation node along the Ross River Parkway shared pedestrian and bicycle pathway system, the park contains a range of playground equipment and facilities which are suitable for use by disabled children. The Liberty Swing is protected by a key lock. If you’d like to use the swing contact Tony Ireland Stadium to arrange a temporary loan of the key – no deposit required.